Charlotte Gurnett (nee Alderman) 1839-1926 – A strong Swanbourne woman. Charlotte was born one of 15 children, to a poor agricultural labourer, Charles Alderman, in Swanbourne. She attended the village school and learnt to read and write. By the age of 22 she was working from home as a straw plaiter, a difference from her mother, who was a lace maker. In 1860 this straw plaiting would earn about 6d to 1s 6d a week. When she was 23, she married William Gurnett, from another well-established Swanbourne family. He was 14 years older than her, and was a Private in the Royal Marines. He fought at the Battle of Inkerman in the Crimean War. They were married in Woolwich and her first two children were born there. On William’s discharge from the Marines, they returned to Swanbourne, and he was given a small pension. He supplemented this by casual work on the estate as a thatcher, but life would still have been a struggle raising eight children. 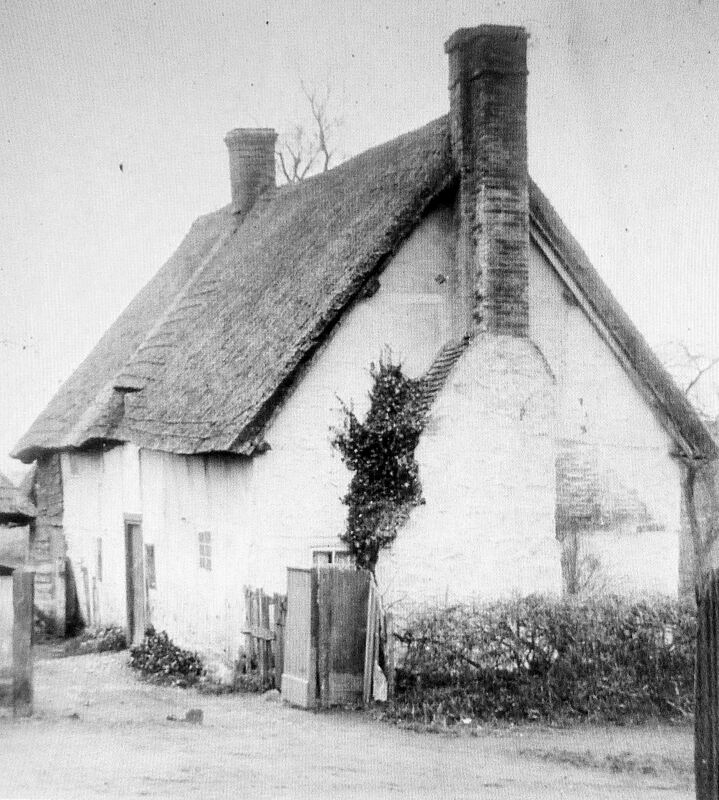 William’s parents had been Baptists, but on their return, the family attended the Primitive Methodist chapel in Nearton End, with Charlotte’s brother Joseph and sister Sophie. There were two services every Sunday at 2.30pm and 6 p.m., a weeknight service on Tuesday and Sunday School for the children. William was a member of the agricultural workers union and was greatly involved when they went on strike in 1873. Fundraising teas were organised at the Chapel and Charlotte must have been kept very busy. William died in 1887 and Charlotte lived on as a widow for 39 more years, a key member of the Chapel with all her family involved. They were soon fundraising again for the building of a new chapel. The old one was pulled down and in the meantime services were held in her cottage and were always followed by refreshments. 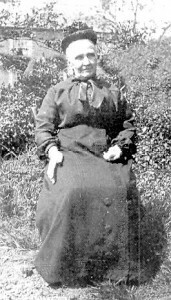 She was known affectionately in the village as Aunt Charlotte or ‘Granny’ Gurnett and was famous for her many sayings. At last, in 1907, the services to celebrate the opening of the new chapel were held and she was there to join in the continued round of services, fundraising efforts and meetings which formed the life of the Chapel. “She had every comfort that self-sacrifice could give and of which she was devoutly thankful.” Her descendants still attend the Chapel, which would not have been built without her.